Ken is, of course, the founder member of the troupe. 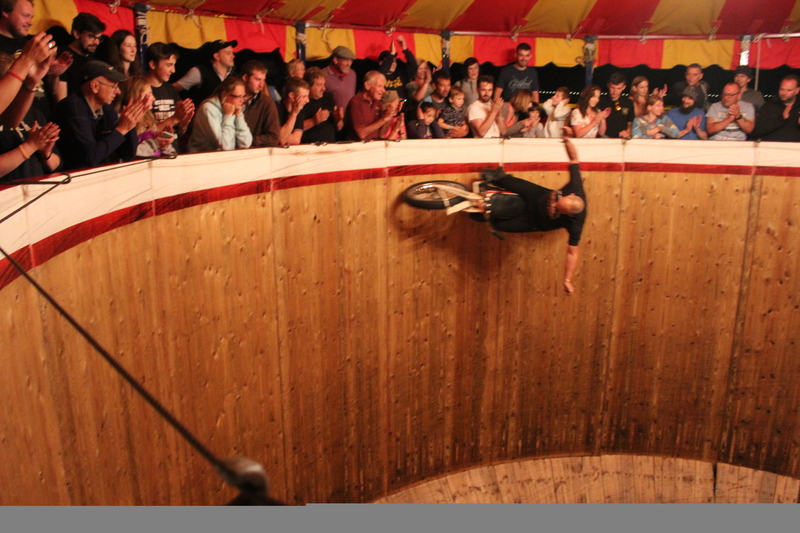 He is recognised as being the world's leading rider on the Wall of Death and is the only person ever take a steam bike onto the wall! 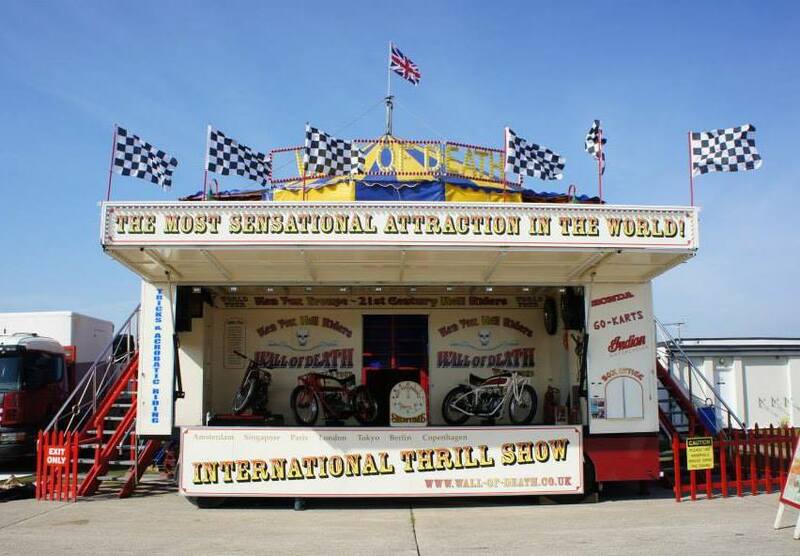 The story of the Ken Fox Troupe begins in Skegness, where Ken Fox was born – his parents had stalls on the Amusement Park and at weekends he would be with them. 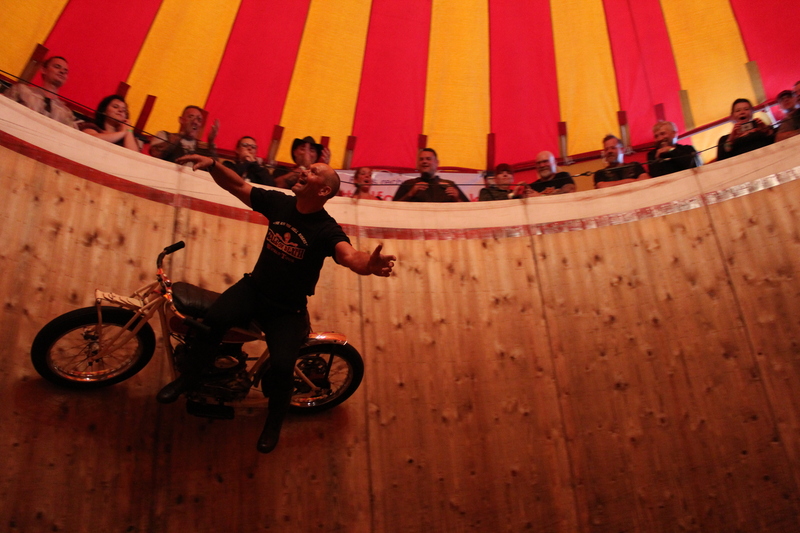 Also on the Park was the Wall of Death owned by Roy Cripsey and his two sons, Graham and Gary. 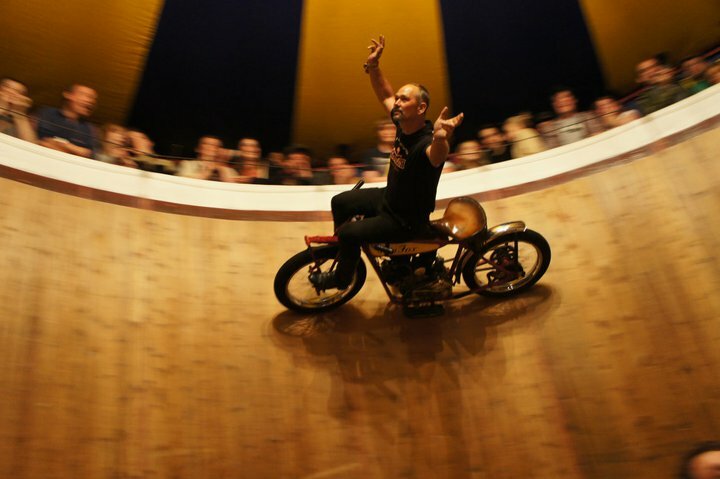 At the age of 13 they took Ken Fox on as a ticket collector and so began a career which was to lead to him becoming internationally known as the World’s leading Wall of Death rider and proprietor and to take him all round the world. Ken says the Cripseys treated him like a son and he became especially close to Gary who was, he says, his mentor – they are still close friends today.In 1981 Roy Cripsey died and the show remained in Skegness for just one more season, Ken’s last performance here being in September 1982. The question was, what to do next? The solution came in the form of an advertisement in the World's Fair newspaper for a Wall of Death rider to tour North Africa with Peter Catchpoole. Ken applied, got the job, and they embarked on a three-year tour taking in Nigeria, the Middle East and Australia. 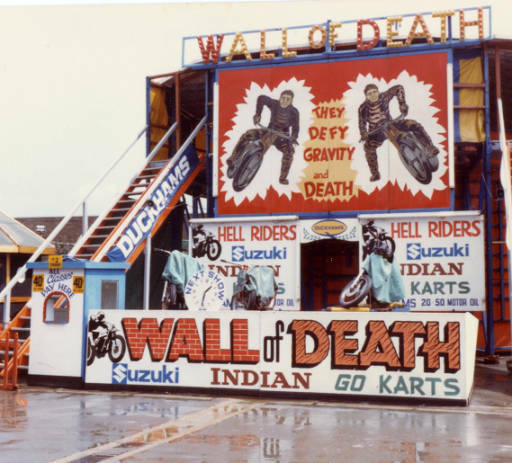 The partnership of Ken Fox and Peter Catchpoole was to last until Peter's death in 2001 and was probably one of the most significant in Wall of Death history, during which they built three brand new walls. The wall they first used, however, was the ex Yvonne Stagg wall from Margate and which was originally the Tornado Smith one at Southend. It was in 1994 that they built the Wall, which Ken Fox operates today it’s first public appearance, was at the Rempstone steam rally in 1995.